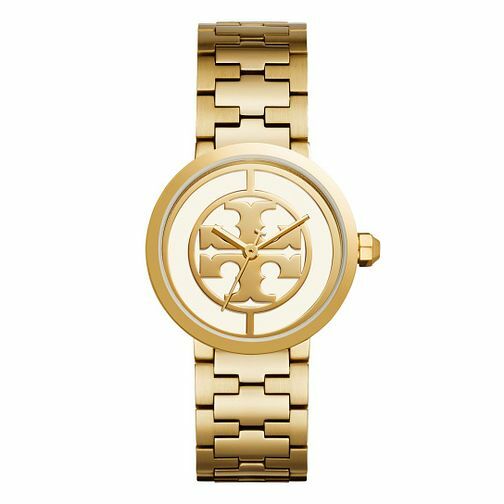 Tory Burch Reva Ladies' Yellow Gold Tone Bracelet Watch is rated 5.0 out of 5 by 1. Rated 5 out of 5 by Anonymous from I love this watch This watch was a present for my 21st birthday, and after trailing through hundreds of watches on many different websites, I finally came across this one and fell in love with it. It oozes quality, the box it comes in is beautiful and it looks exactly as in the photo. The only this I would say is that it is slightly weighty, but that doesn't bother me at all.